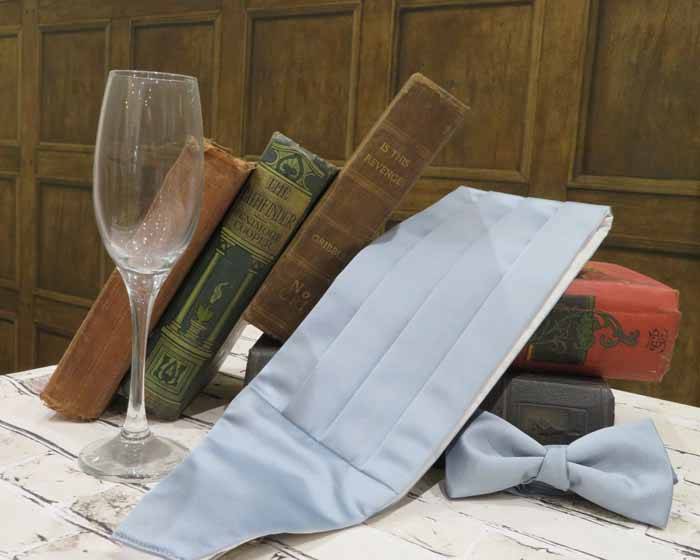 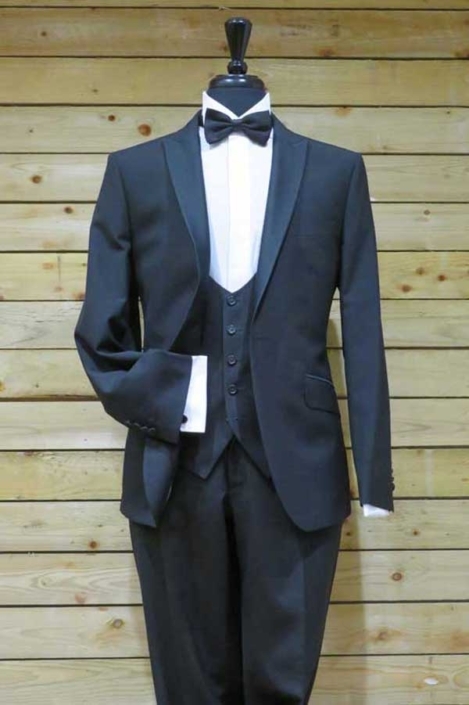 It is becoming more popular nowadays for a Tuxedo to be worn by the Groom and his Groomsmen or of course for that special black tie event. Our superior range of Tuxedos come in three options. 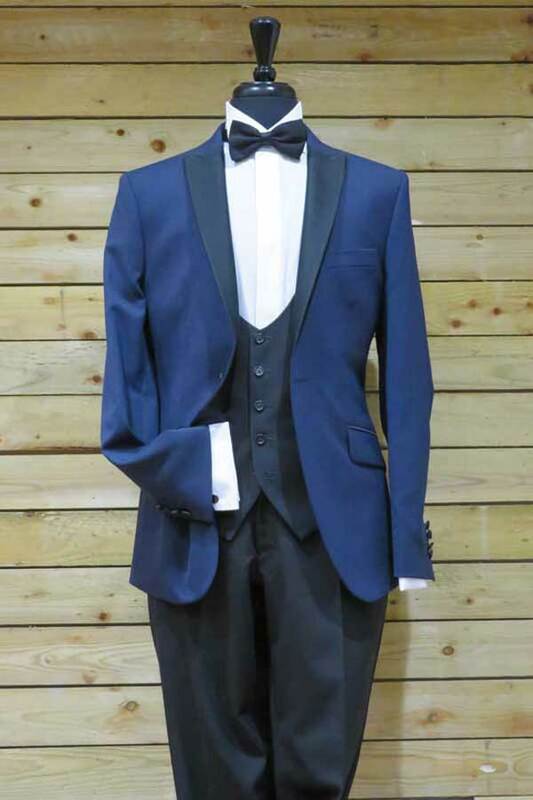 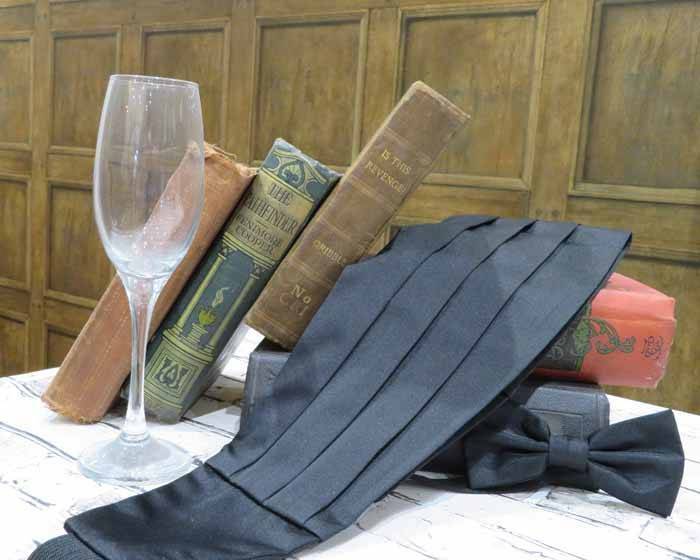 The base look is with Black slim fit trousers with satin piping accompanied with matching waistcoat. 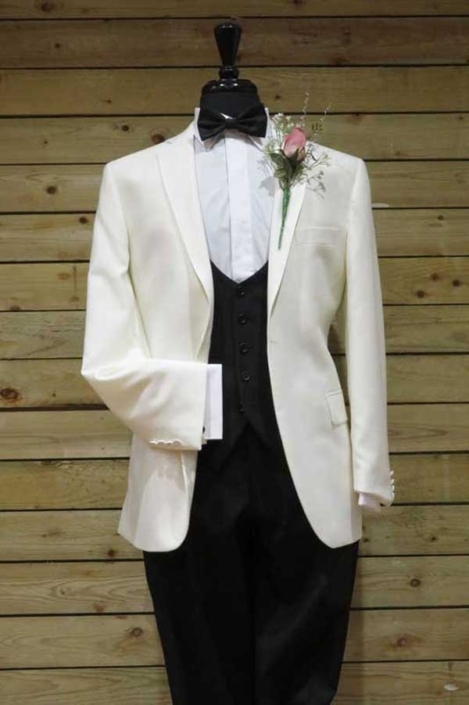 You can then choose your look with three options of jacket, all with notched collar and satin lapels. Available in Black, Blue or White.